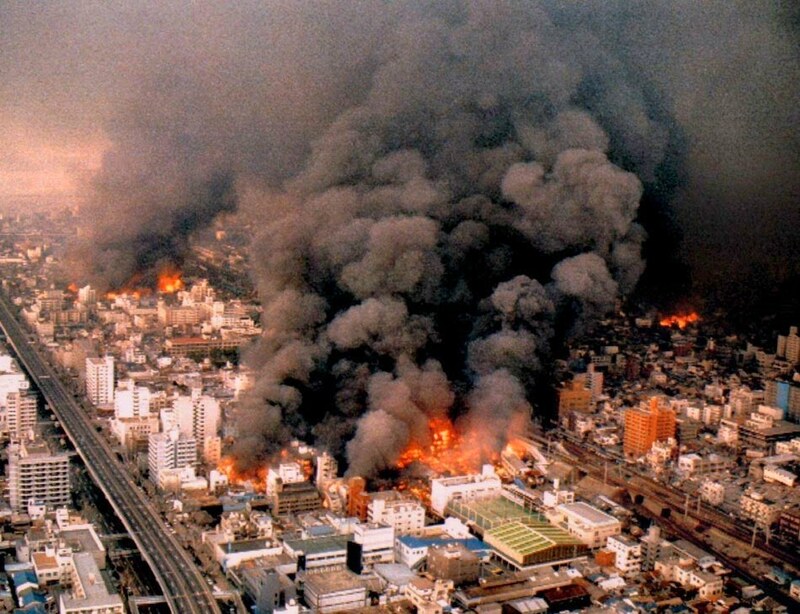 On January 17, 1995 at 5:46 in the dark, cold morning, the city of Kobe and the surrounding area of Osaka, Japan, were rocked by a massive earthquake in what became to be known as “The Great Hanshin Awaji Earthquake”. 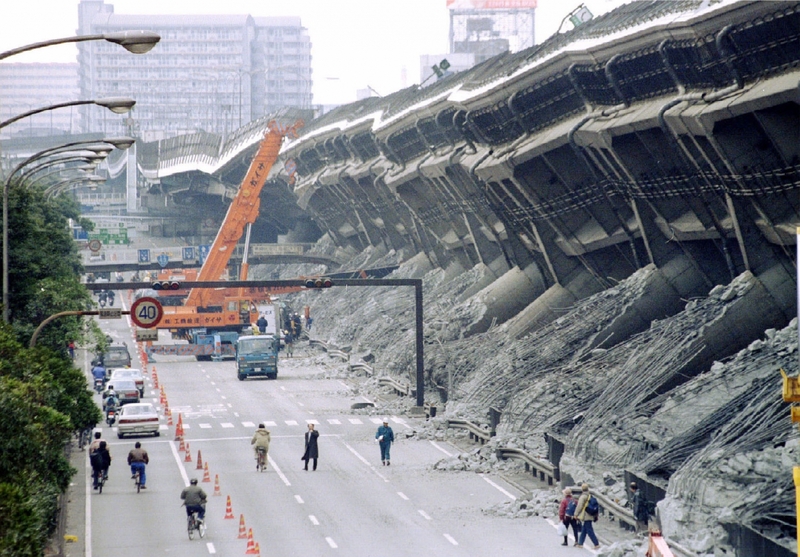 The region, home to some 3.5 million people and an economic center of Japan, was devastated. Electricity, water, gas, transport and most emergency services were left inoperable, many for weeks. Innumerable structures were damaged or destroyed, directly by the quake, or by fires which raged the city afterwards. Survivors were left to face the cold winter with nothing. Worst yet, the quake destroyed 249,180 homes, and left 6,434 people dead and another 43,792 injured and in need of medical care. 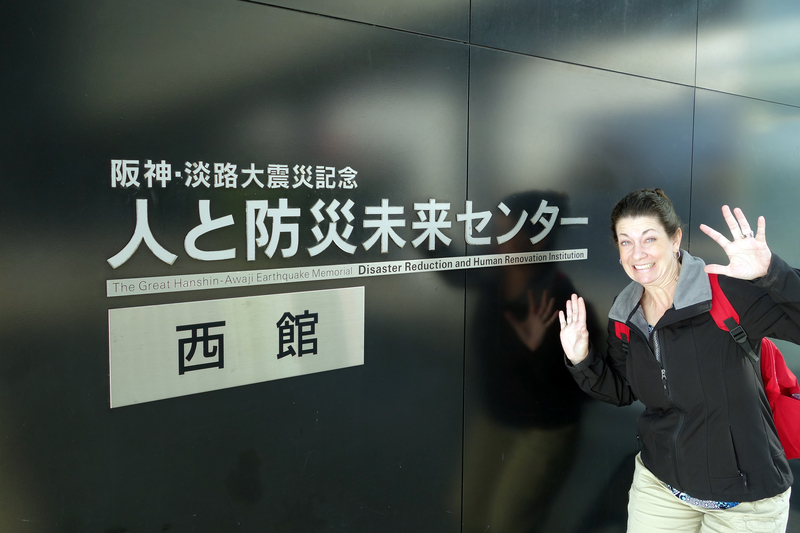 Jody and I have a vested interest in learning about earthquakes; they are an all-too-common occurrence in Okinawa (see Love and the Ring of Fire for more). 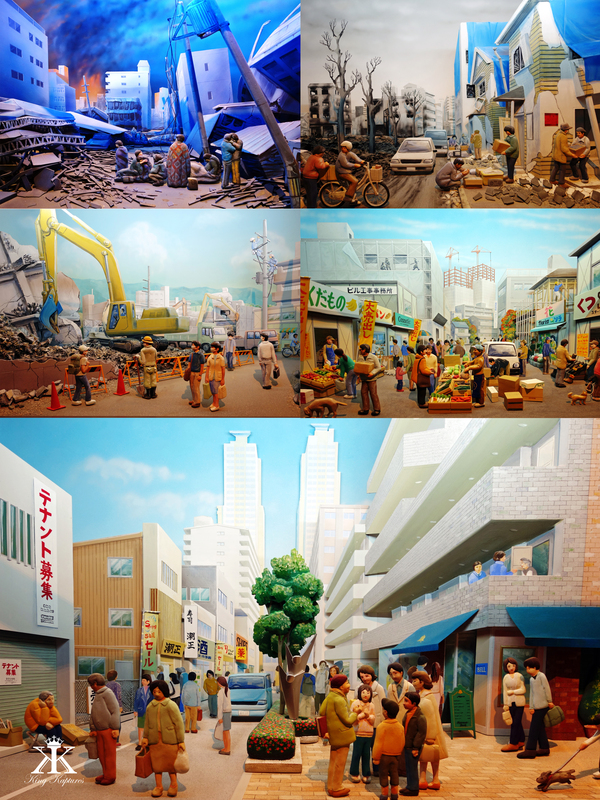 The Kobe Earthquake Museum, more officially known as the tongue-twister “The Great Hanshin-Awaji Earthquake Memorial Disaster Reduction and Human Renovation Institution” (DRI), was opened in 2002 to commemorate the tragic event and to educate visitors about earthquakes and disaster mitigation and prevention. 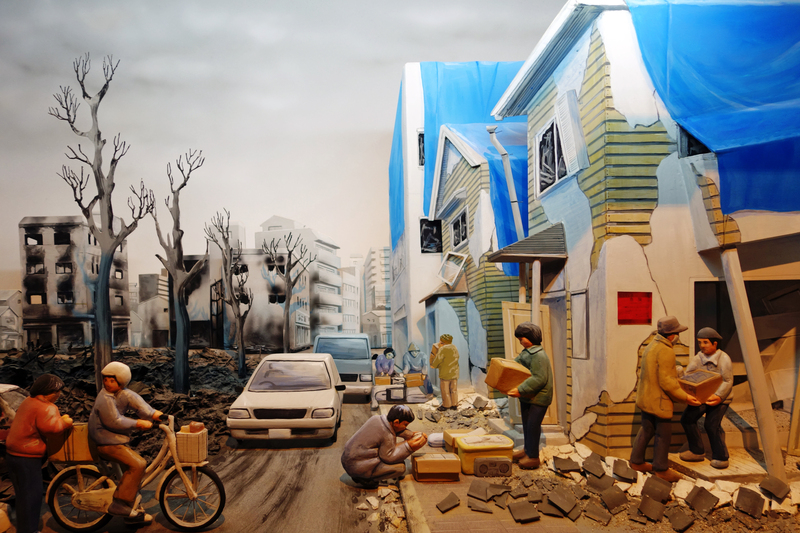 The museum includes a theater, life-sized dioramas, and expansive exhibits halls, all of which catalog the cataclysm in great detail. Please note that this is not a casual stroll at your own pleasure visit. Guests are queued for hard start times, where they are shuttled to the upper floors as a group to a movie screening. Standing in the theater, a powerfully moving bass creates tactile soundscapes, and a 3-dimensional large screen supports stunning visuals, which when combined offer a fairly immersive experience of that fateful morning. The roughly seven minute movie leaves most speechless. But keep in mind that in reality the death and destruction depicted took only about 20 seconds…. 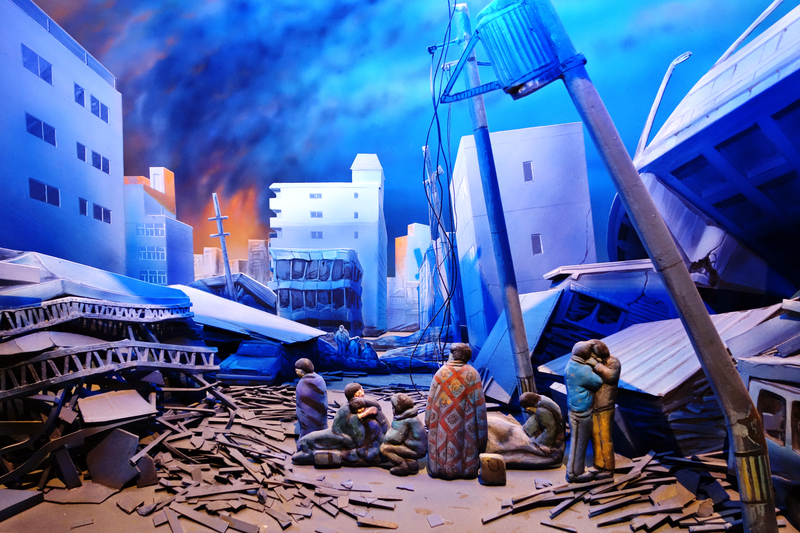 After the movie guests are quickly herded through a life-size diorama depicting scenes of damage from the quake. Personally, these types of displays are some of the most interesting, and I would like to have lingered here, taking in the experience. Unfortunately, at this point you are on the museum’s time, and out you go. Oh, and by the way, no photos are allowed in these areas (of course). 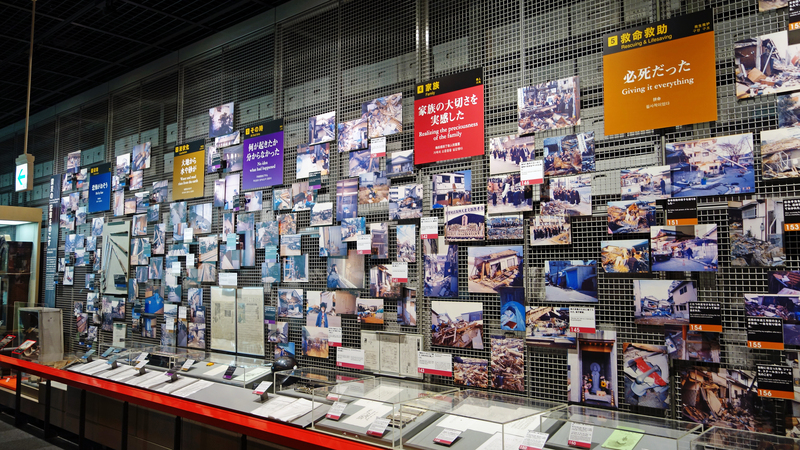 Next guests will find themselves in a large exhibition hall filled with photos, exhibits, and audio commentary detailing every aspect of the disaster and recovery you could imagine. 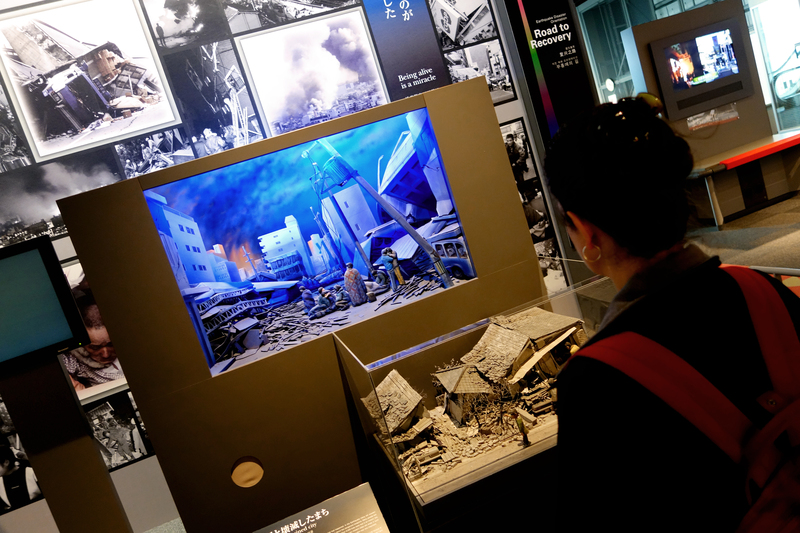 There are extensive displays on how the people and the government attempted to deal with the devastating effects of the catastrophe. There are English-speaking docents here, and a free English audio guide is provided, keyed by numbers displayed on the various exhibits. I must admit, the sheer amount of information presented here is overwhelming; it’s hard to take in so many accounts and data of such an event…. Two of the most moving stories I encountered, and will never forget, both involve the death of a loved-one. In one, a man recounts that his wife was injured in bed when their home collapsed, and although she was still warm when he put her in his car, she was already cold when he went to remove her at the hospital. Still more tragic, a sister recalls escaping the collapsed wreckage of her home and locating her sister, still pinned in place by debris. As a fire started to consume the remains of their home, the sisters had to part, one telling her family to leave her to save their selves, the other having to listen helplessly to her sister die in the flames…. Visitors proceed down in the main building after the exhibit hall, where various other interesting information and simulations are provided. Crossing a skybridge to a secondary building, the focus shifts to water disasters and how prepare, mitigate and respond more effectively and efficiently to such calamities. Little things, like anchoring furniture resulted in many escaping the quake uninjured. There was also a tongue-in-cheek traveling exhibit on, what else, but the potty! Seriously, after weeks and sometimes months without potable water, human waste became a huge and dangerous problem during recovery efforts. Games and experiments are offered throughout to help visitors learn about natural disasters and how to minimize risk and damage in future. The focus in this second facility, however, seems to be more focused on children. Jody and I spent a morning at the museum, more an archive of first-hand testimonials than almost anything else. 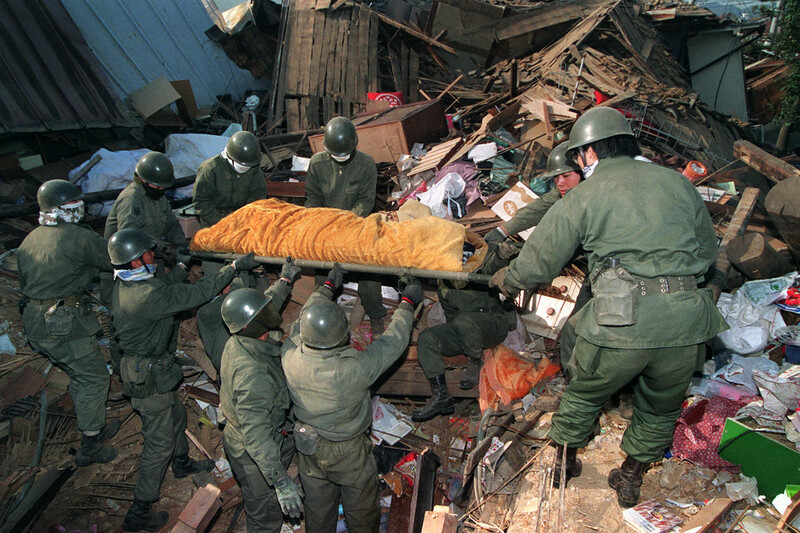 This catalog of suffering goes far in meeting the self-stated goal of the DRI: ensuring that the lessons of the Great Hanshin-Awaji Earthquake are never forgotten. 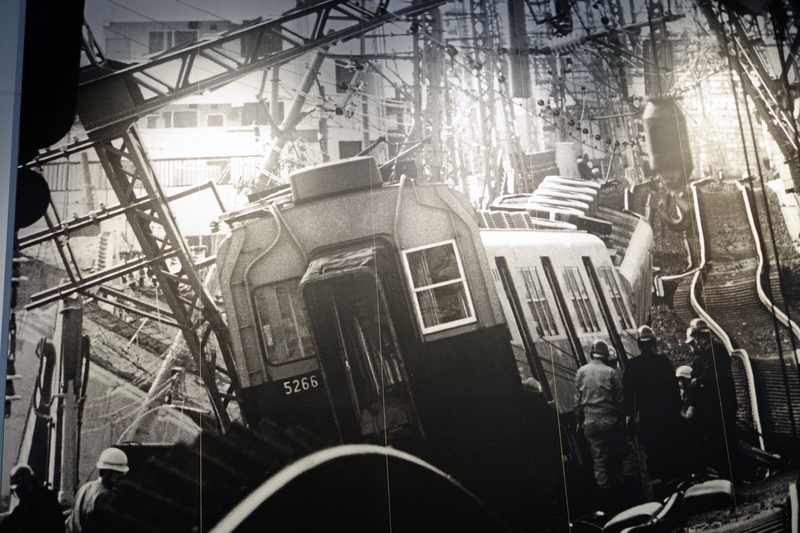 We left impressed about not just the extent of damage and loss of life, but more indelibly imprinted was how quickly Kobe and the entire area recovered after the tragedy. A revival made possible only through people helping people, which in the end, is all it takes to make a genuine difference. 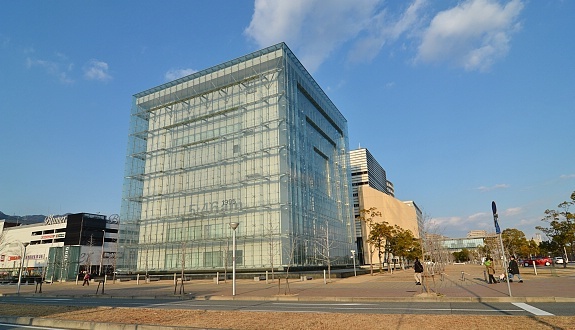 Location: Located in HAT Kobe, a relatively new city district east of the city center. A ten minute walk from Iwaya Station on the Hanshin Main Line, or in a 15 minute walk from Nada Station on the JR Kobe. This entry was posted in Earthquakes, Japan, japan, Kobe, Mother Nature, The Far East (Asia) and tagged disaster, earthquake, hanshin-awaji earthquake, japan, japanese earthquake, Kobe, kobe japan, natural disaster, osaka, quake. Bookmark the permalink. ← Himeji Castle: Top Secret Ninja School? ?